Currently available as a private for individuals, or groups. Take your baby shower up a notch! with my pregnant, and postpartum fledglings?? In this workshop, you'll learn how your body is changing, and how to keep yourself safe and supported while you exercise. You'll experience a challenging workout, using the aerial hammock as a source of support, resistance, and of course, fun! And after we work hard, we nap hard, with a guided meditation, and comfy supported savasana in the hammock. 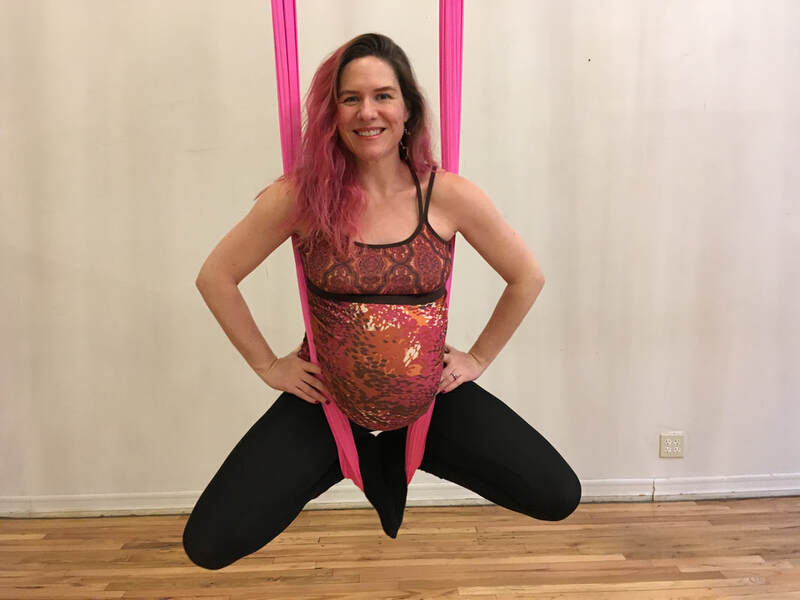 So, could prenatal/postpartum aerial yoga be for you? Have you tried prenatal or postpartum yoga before, and found it to be a little too soothing and relaxing/too easy? Have you wanted to push yourself further in your workouts, but felt too nervous to do so because of the risk of falling, or not being sure how to keep yourself safe and injury free while working out? 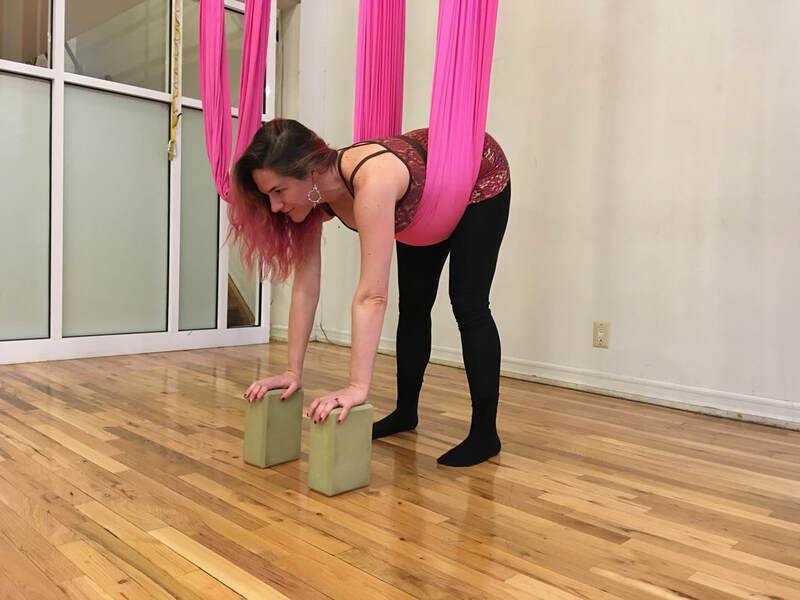 Have you ALWAYS wanted to try aerial yoga, and now feel like it's totally off the table for a while? Are you starting to feel like you'll never feel comfortable, and stress-free enough to get some decent rest again until your baby is a successful adult?? 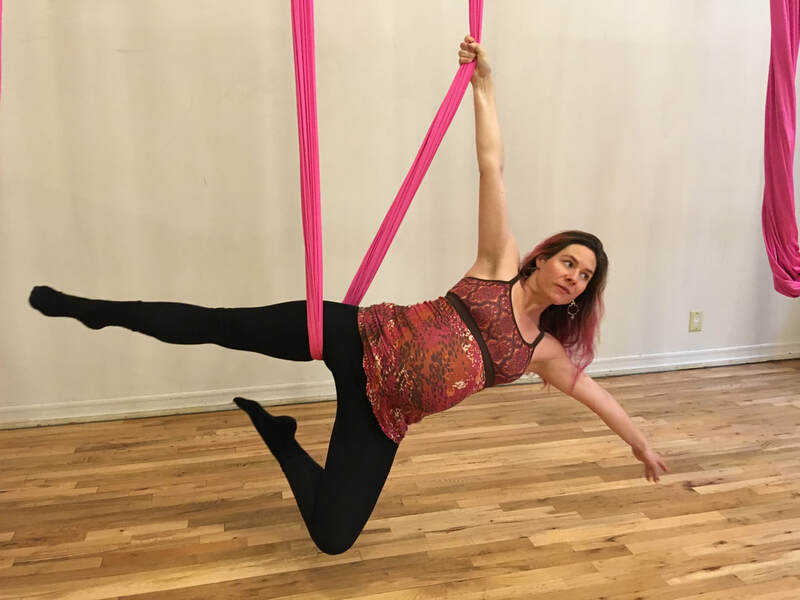 Or maybe you're just thinking that spending some time in a beautiful aerial fabric sounds down right delicious! Nodding your head? What are you waiting for?? ​Grab a friend, and contact me to get started!